During these extraordinary times of change on our planet and within humanity, many higher realms are “weighing in” to support our personal and planetary shifts. At this time we are focusing on angelic realms, which are joining together in love and support to assist us in creating a new reality of Unity and We Consciousness, through activating our divine soul plans. The world cannot and will not e as the past, or we shall not survive as a species. But there is a grand plan that we do survive and move into heights of beings beyond our imagination at present. 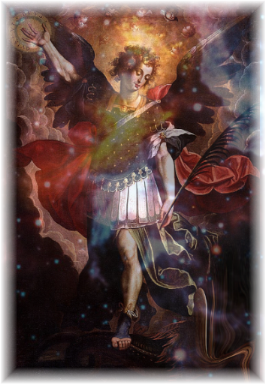 We shall now focus on one of these divine beings, Archangel Michael, with his mighty God Power sword, teaching us to move from our mind that believes to our heart that knows. Phillip: Dearest Michael, there are so many archangels, what exactly is your focus and role? Archangel Michael: Certain endeavors and intentions are assigned to various frequencies of consciousness. We within the Michael angelic realm largely guard and stand present to repel any and all who intend to destroy self, others, or the planet. We vibrate at a frequency of Love and Perfection for your use. Michael means “who is like God Power”; we embody the word for truth moving from the mind to the heart, allowing you to know, through a process of your choosing, who you are and why you are here. This will allow you to take responsibility for yourselves and the activation of your soul plan. Phillip: Exactly how does your frequency achieve this? Archangel Michael: You do, dear ones, through the integration of your I AM PRESENCE, your Divine Essence, your God Power, as you anchor more fully into your divine soul plan, the reason you are here. Then you can learn the things that are preventing this in yourself and your world. Once you know and apply this wisdom, it will be a game-changer. Archangel Michael: The veil between our worlds is thinner than ever before, dear ones. This will further allow you to move more deeply in your understanding of what service the angelic realms play in your world, especially in relationship to yourself (the basis of all). Phillip: Most people perceive you as a protector-power with your sword. 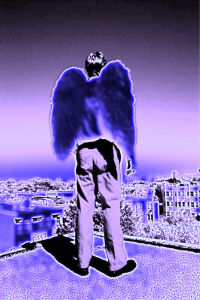 Archangel Michael: Humanity’s awareness of most angels is through the concept of a guardian angel mission. So that’s how most angels are in the consciousness of humanity, to a lesser or greater degree. 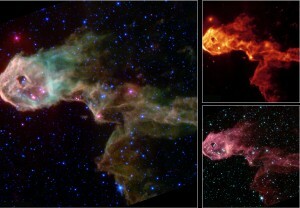 How this expresses itself within each angelic realm has to do with the mission of each frequency. We are discussing Michael at the moment. Phillip: So how does what you do really work? Archangel Michael: Be careful when you call upon us, dear ones. 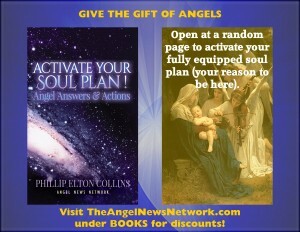 We shall assist you in fulfilling your personal and world soul plans. Are you truly ready to do that? Archangel Michael: It’s really about the revelation of what exists within you. The “protection” comes from the God Power within you, dear ones. We merely teach you how to awaken this truth through a loving relationship with self and others. Phillip: You’re like ever-ready men. Archangel Michael: We are ever ready to respond to your slightest call by your focusing on us. It makes no difference if you see or feel us, or believe in us. When you connect with our frequency through your emotions and thoughts or incarnational evolution, we automatically stand ready to protect and support that which is of God Power, the good of all, within you. And to assist you in healing what is preventing this. Phillip: So we just need to focus on you? 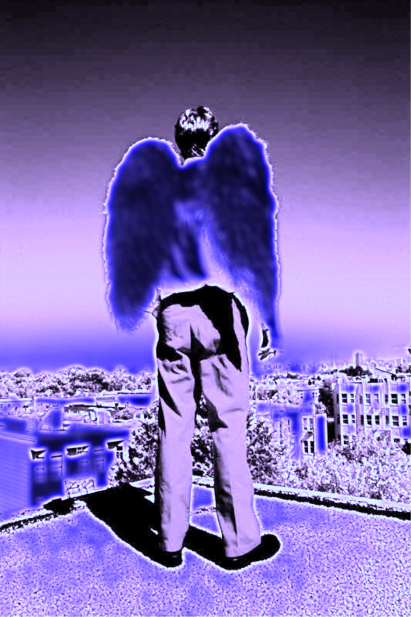 Archangel Michael: If mankind only knew how simple this is. It’s just a matter of you getting out of the way, and trusting and surrendering to our existence, and knowing we are here to assist in maintaining and sustaining all soul plans. We are not a figment of anyone’s imagination, dear ones. Whenever we are given the slightest opening or recognition, we appear. Phillip: Have you always been present in mankind’s history? Phillip: What does that mean? Archangel Michael: There is much change in process within yourselves and your world where only higher-realm support can be fully effective. We are here to protect all that is good. There are many shifts in your emotional, mental, and physical bodies that will affect your world. You are moving into a new age (the seventh final golden age) with new inner God Powers you do not fully understand nor know how to use. But when you are ready, all will be revealed. Phillip: You will show us how to use these God Powers? Archangel Michael: Yes, through the fulfillment of your divine soul plans, as you learn how to master self and existence. Archangel Michael: You will learn the powers of self, and nature and the cosmos, as you ascend into a higher frequency of existence. You will be creating, growing, and expanding beyond your awareness now. Phillip: As if this isn’t enough, what else? Archangel Michael: Much of our assistance will come through your healing, by love and the further activation of your I AM PRESENCE. We are the ways and means to your I AM PRESENCE and all higher realms through the healing of self and awakening your divine essence. Humanity has no idea of the inner God Power within itself. The angelic realm is connected to this ability and power within each of you. Together, there is no limit to what can be achieved—no limit to the balance of giving and receiving, dear ones. Phillip: There is nothing in the physical world as strong as this I AM PRESENCE, is there? Archangel Michael: Can you show us anything as strong? Can you compare anywhere what we can accomplish together without limit? 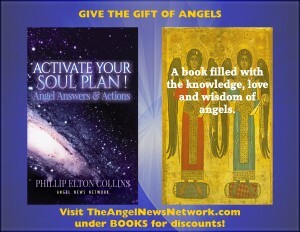 Phillip: It seems like it is time for mankind to better understand the angelic realm and how we may work together. Archangel Michael: There are legions of us to support your fulfillment of your divine soul plans and your attainment into ascension, dear ones. You are not alone, never have been, never will be. We are here to assist in the balancing of any negative forces inside and outside you that are preventing your divine destiny from ascending back into the light. We’ve been doing this for eons. The time is now for blastoff. Phillip: All we have to do is call upon you? Archangel Michael: Yes, dear ones. Trust and surrender; we are here to assist in preventing anything less than perfect coming forth. Our sword of truth will cut through this. Any doubt will prevent this. Phillip: What is the biggest prevention now? Archangel Michael: Mankind must become conscious and desire to receive the God Power within itself. War does not work and cannot continue; honor yourself and others, your planet. You need to reconnect with the higher realms from which you came; all lack and limitation and suffering you have created will end. Can you simply trust and surrender and come to us? We are all-powerful and wish only to spread our blessings upon you. Can you receive them now? We shall answer every heartfelt call and assist in the fulfillment of each soul plan. This is how much we love you. Now love yourselves enough to receive our giving. Phillip: Thank you with all my heart.